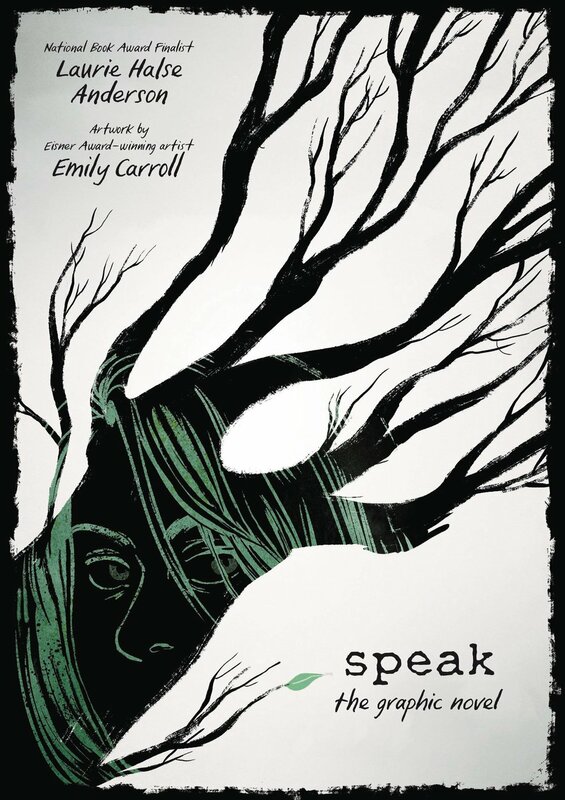 Given the horror of the news cycle, I was afraid to pick Speak: The Graphic Novel up—what with Senators minimizing and excusing sexual assault left and right, I felt like reading this book might feel like poking an open wound. Not just poking an open wound, but jamming a fingernail right in and rooting around. Reading it felt like an affirmation. Reading it made me feel that all of the thoughts and emotions and memories that have been roiling around in my heart and brain and gut for hours and days and weeks and months—and yes, years, but they’ve been looming especially large lately—aren’t just valid, but are shared and understood. It’s a beautiful update of the source material that nails my personal criteria for literary adaptations: it’s true to the spirit the original, but told in a way that takes advantage of the new medium. Emily Carroll’s artwork—her dark humor and ability to show the horror in seemingly quiet, mundane moments—was a perfect, perfect fit for this project. At this point, I rarely keep finished review copies—I donate them straight to my library because A) the budget is small and B) that way everyone in town has access, rather than just me—but I’m going to have a really hard time letting go of this one. But let go of it I shall, because I know there are people of all ages in the community who need it.